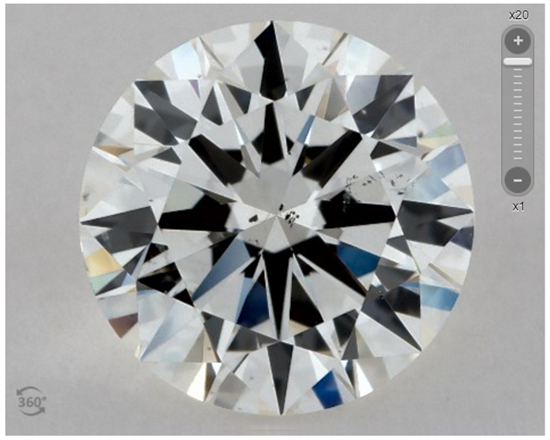 VVS Diamond Clarity: Is the Difference Worth It? VVS clarity diamonds have absolutely no visible flaws. But do you really need this for your engagement ring? The answer may surprise you. VVS diamonds are "very very slightly included" and fall just below the flawless range. These diamonds can be thought of as almost perfect. VVS diamonds have very tiny flaws that are hard for a professional gemologist to detect under 10x magnification. If an expert has trouble finding them under magnification, there is no way that the casual admirer will see them. VVS diamonds are always eye-clean. But do you REALLY need this for your engagement ring? I guess this depends. If you have a large budget and are after perfection, then sure. VVS diamonds are practically flawless. In fact, true flawless diamonds are so rare that most jewelers don't even carry them. So VVS are great for those seeking top-notch quality. But if your goal is to get the best value, then VVS is overkill. You can get a diamond that visually looks just as good for much less. We'll talk about it below. VVS1 is one grade higher. The difference is in the placement of flaws. In VVS1 diamonds, the flaws are located in the bottom half of the diamond and can only be seen from the pavilion view. In VVS2 diamonds, the flaws are more towards the top of the diamond. They can be seen from the top view. Below is a VVS1 diamond under 20x zoom and its corresponding clarity plot. In this diamond, the only flaw that could be detected is a tiny pinpoint in the pavilion. It is completely clean face-up. And now here's an example of a VVS2 diamond and its clarity plot. This diamond has a very small cloud inclusion that was detected from the top view. But the flaw is so small that the naked eye will not be able to see it. It takes an expert eye with professional tools and lab viewing conditions to find the flaws. VS (Very Slightly Included) diamonds are a clarity grade down from VVS. Slightly larger or more flaws will put diamonds into this range. The inclusions are more easily seen under magnification, but not to the naked eye. The difference between VS1 and VS2 depends on the size, number, and location of flaws. VS2 has slightly more flaws or and/or bigger inclusions. The flaws may be in the top half of the diamond. Across the board, it can be agreed that VS1 diamonds are also always eye-clean. VS2 diamonds are usually eye-clean, because most flaws are just too small to be seen without aid. But sometimes, there could be a visible flaw right under the table, especially if the diamond is larger in size. For example, this VS2 diamond has multiple dark-colored flaws near the top, including a cluster at the center. There's a good chance that this VS2 diamond may not be eye-clean. But keep in mind that this is a very rare case. Most VS2 diamonds appear clean face-up to the naked eye. And we recommend it as the best bang for your buck. It's generally a safe choice even if you're ordering the diamond online without photos. 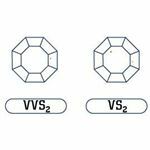 To the untrained eye, there is virtually no difference between VVS and VS. But there is a huge price difference. Because VVS diamonds are "almost perfect," they're rare and pricier. By going for a VS diamond, you can save quite a bit. In this example, we used the benchmark of 1-carat, Color H, and Ideal Cut. 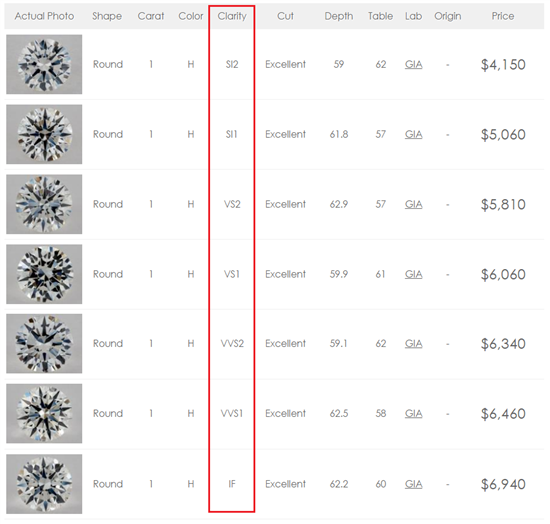 You can see that the price gap is a good several hundred dollars between VVS and VS. And if flaws cannot be seen on VS diamonds, then there is no need to spend more on something that has no visible difference. So What If You Still Want a VVS Diamond? As long as you are aware that you don't need to purchase VVS to get an eye-clean diamond, then go ahead if that's what you still want. Some people are after perfection and enjoy knowing that their stone is practically flawless. Everyone has different preferences. Make sure the diamond is certified by GIA or AGS. These are the two most reputable labs with the highest grading standards. 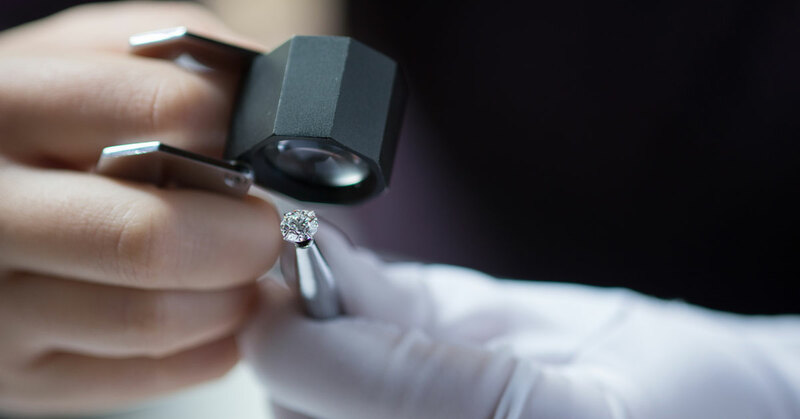 Another lab may grade the diamond as VVS1 or VVS2 and even be priced less expensively. But in reality, the diamond could be graded as VS2 by GIA. So you don't want to pay for something that only looks good on paper. Clarity has nothing to do with brilliance, so make sure you also get a well-cut diamond. If the cut is poor, even the most flawless diamond will look dull. Cut is the area where the extra money has the largest impact on beauty. Personally, we feel that the color of the diamond makes more of a visible impact. A diamond high in clarity but low in color will appear less beautiful than a whiter diamond with larger flaws. A VVS diamond is about as perfect as you can get without the "flawless" stamp. It will always be eye-clean, so you don't have to worry about visible flaws. But in our opinion, it is overkill if your goal is to simply score an eye-clean diamond. VS2 diamonds are a safe choice and they are usually eye-clean. You can even find eye-clean diamonds in the SI1 and SI2 ranges. So it is unnecessary to pay a premium for a VVS diamond when there is no visible difference. If you enjoy perfection and can afford it, then go for it. But if you want the best value, we would advise to drop in clarity and put the money towards a better cut and/or bigger diamond. 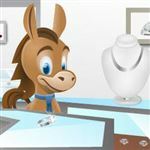 Share on Facebook "VVS Diamonds: What You Need to Know"